Grow your business with The Bank of Elk River. 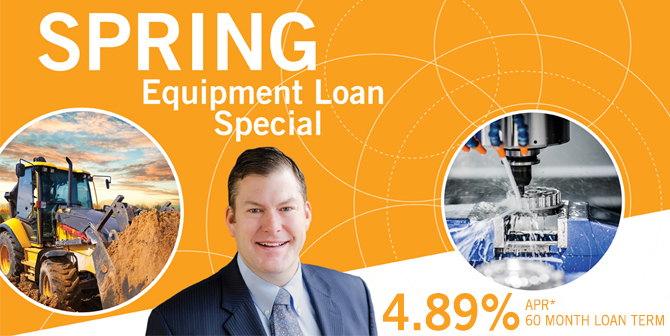 Commercial term loans are ideal for equipment purchases, capital improvements or expanding your business. Having the right loan for your business with a competitive rate and term can help you take your business to the next level. Our lenders understand business needs and can offer a variety of innovative loans to help you meet its goals. Loan terms can be tailored to meet your needs. Fixed and variable rate term loans are available. SBA Loan options are available. The Bank of Elk River is proud to be a SBA Preferred Lender. *Annual Percentage Rate effective through 4/30/2019. Loans are subject to credit and underwriting approval. Refinancing of existing Bank of Elk River loans are not eligible. Other restrictions may apply. Other rates and terms are available. Must have a Bank of Elk River deposit account with automatic payment to qualify. Member FDIC. Equal Housing Lender.